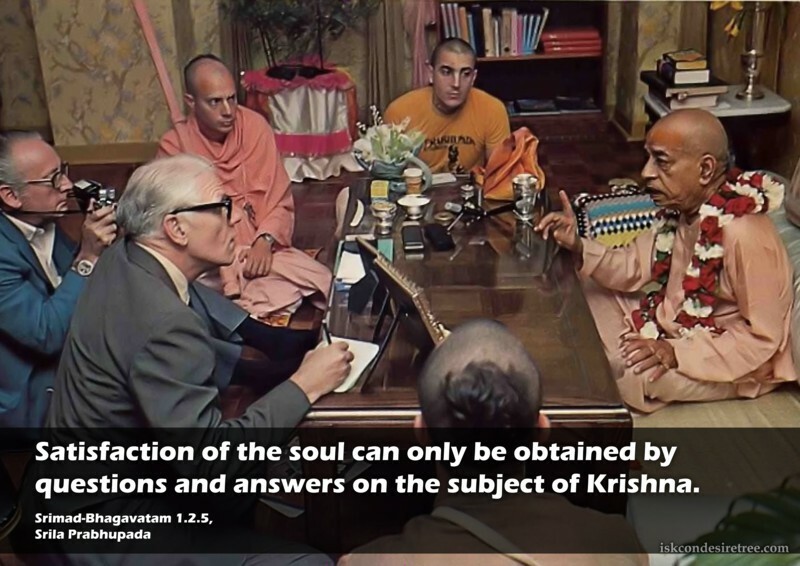 Satisfaction of the soul can only be obtained by questions and answers on the subject of Krishna. 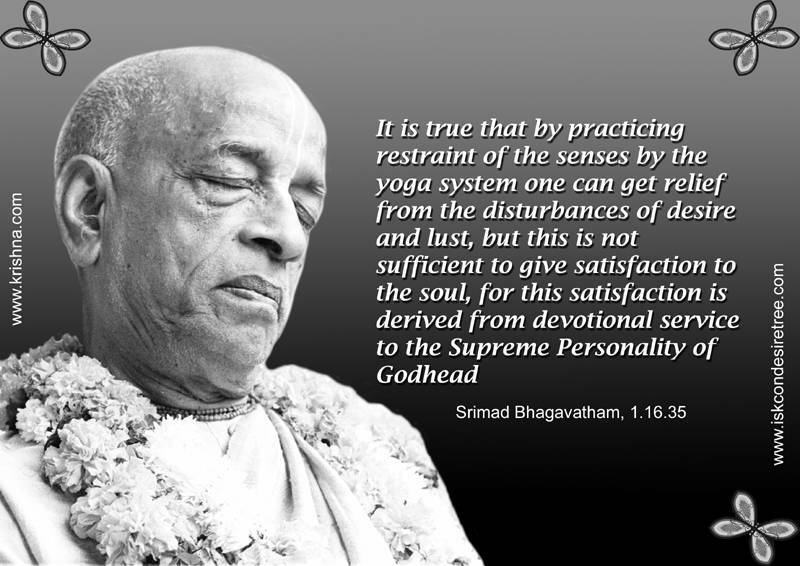 It is true that by practicing restraint of the senses by the yoga system one can get relief from the disturbances of desire and lust, but this is not sufficient to give satisfaction to the soul, for this satisfaction is derived from devotional service to the Supreme Personality of Godhead. — Srimad Bhagavatam, 01.16.35. Satisfaction can be disturbed by our surroundings, but Krishna Consciousness can help us transcend everything.